358 High Security Panel Fence,also called 358 fence, which is well-known as anti-climb and anti-cut fence. Perfectly suited to high security applications,like military, airport, prison, warehouse, factory etc. This high performance system provides the ultimate protection against anti-climb and cut through. With the additional V-top like barbed wire and razor barbed wire, the system will have multiple additional features to aid security. Variations in mesh dimensions shall be maximum ± 1.5 mm per 1 meter length. 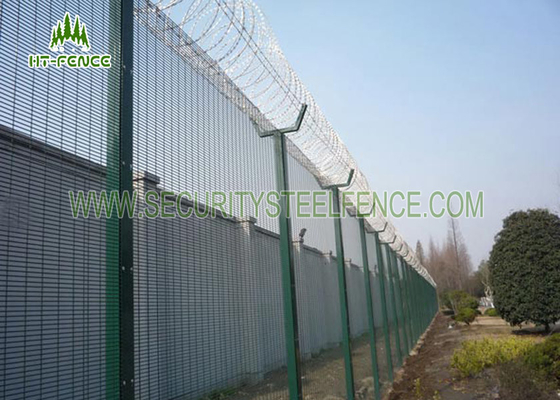 358 Security fence have 2D and 3D type,please checking the detail info of them. The powder material from AKZONOBEL,Dupont,the PVC material from Dupont,it can make strongly resist the corrosive and ultraviolet radiation.Doubld caoting layer make the fence long life more than 10years. 1.it has rubber mat at the bottom of the pallet to avoid the pallet destroyed the panels. 2.it has 4 metal corners to keep the pallet more strong. 3.it has metal plate under the plastic bandage to reduce the apressure of fence panels. 4.wooden plate on top which can protect the fence panels avoid being crushed by other pallets. 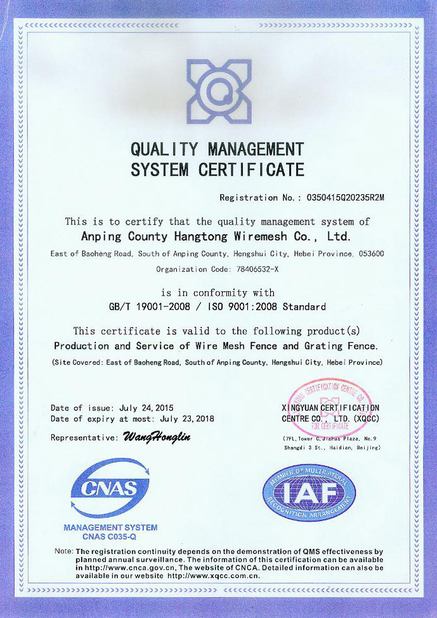 Welcome to everyone if you have any requre on 358 security fence,we will do our best to offer you best price and best products.